Discount SunLite 16 Home Tanning Bed + Free Shipping! 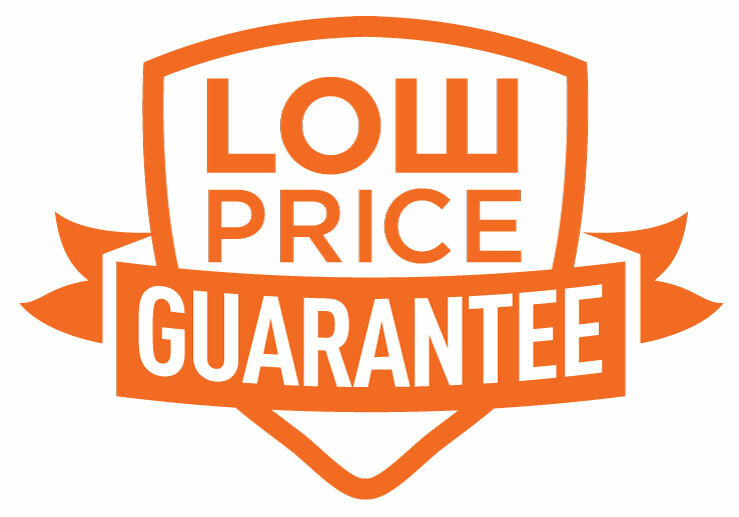 What would you think if we told you that you could get a tanning bed to keep at home that would be high quality without your having to pay a high commercial price? Would you jump at the chance? That's what we offer you here at our store. We want to give you the freedom to tan at home on your own time. Ultimately you save time and money by tanning at home, and it can be just as safe and enjoyable for you. The SunLite 16 Home Tanning Bed houses sixteen 100 Watt bulbs. It uses the air in the room to keep the bed cool, and you must keep it in a room that is no hotter than 80 degrees Fahrenheit for safe operation. You can plug your tanning bed into a standard wall electric receptacle. Its canopy grid design makes for a more even tan than you can get from other beds, giving it the most extensive tanning surface of any kind of tanning bed. This bed comes with a pillow and protective eyewear and the cleaning materials you will need to keep the light unobscured for successful tanning. To get an idea of how much space this bed takes up, let's go over its dimension. It is 81 inches long, 36 inches wide, and 48 inches high. It is designed for sessions that are no longer than 20 minutes. Just think of how awesome it would be for you to be able to get your tan at home! You would no longer have to waste time traveling to and from the tanning salon, and you could greater freedom to do it at times that work best for you. What is covered: During the warranty period as specified above SunLite INDUSTRIES will replace any defective system or component of the SunLite 16 Home Tanning Bed, at SunLite INDUSTRIES' sole discretion. The Purchaser shall be responsible for the difference between the cost of a new SunLite 16 Home Tanning Bed or component and the prorated value of the defective system or component. Prior to making any repairs SunLite INDUSTRIES will advise the Purchaser of the nature of the problem and the cost to the Purchaser based on the proration of the defective system or component. H. Shipping costs back to SunLite INDUSTRIES' factory. SunLite INDUSTRIES will pay for ground transportation of repaired or replaced part back to purchaser. I. Tanning units, parts or components damaged in transit where SunLite INDUSTRIES damaged goods policy is not followed by purchaser or purchaser's designee. This warranty does not apply to any failure of product due to alterations, modifications, misuse, abuse, neglect, accident, improper maintenance or installation, use of parts not supplied by SunLite INDUSTRIES, failure to operate and use the product in accordance with the instructions provided in the Owner's Manual supplied with the product or failure to otherwise meet manufacturer's specifications, or if the serial number has been removed, altered or defaced. Procedure for Requesting Warranty Work: In the event of a problem covered under this limited warranty, the customer must first contact SunLite INDUSTRIES and obtain a Returned Goods Authorization for SunLite 16 Home Tanning Beds to be repaired or replaced at SunLite INDUSTRIES' discretion, provided product(s) are returned freight prepaid to SunLite INDUSTRIES. SunLite INDUSTRIES will perform its obligation within thirty (30) days from the date of SunLite INDUSTRIES' receipt of the Purchaser' authorization to effect repairs and acceptance of the cost of repairs based on the prorated values of the defective systems or components. Any payment due from the Purchaser shall be payable in full prior to SunLite INDUSTRIES' return of the repaired system or component. Any product being returned to SunLite INDUSTRIES for repair or replacement must be adequately packaged to prevent freight damage and shipped via traceable method. Right to Modify: SunLite INDUSTRIES reserves the right to make changes or improvements to the SunLite 16 Home Tanning Bed without incurring any obligations to similarly alter products which have been previously purchased. Exclusivity of Warranty: This warranty is the only warranty made by SunLite INDUSTRIES and may only be modified or amended by a written instrument signed by a duly authorized officer of SunLite INDUSTRIES. SunLite INDUSTRIES' sole and exclusive liability and Purchaser's sole and exclusive remedy under this warranty shall be, at SunLite INDUSTRIES' option, to repair or replace, to the extent available on a prorated basis, any such defective Products. These remedies are available only if SunLite INDUSTRIES's examination of the SunLite 16 Home Tanning Bed discloses to SunLite INDUSTRIES' satisfaction that such defects actually exist and were not caused by Purchaser's misuse, abuse, neglect, improper installation, maintenance or testing, alterations or modifications, failure to meet manufacturer's specifications or any other cause beyond the range of normal usage, or by accident, fire or other hazard. Repair or replacement of a part does not extend the warranty period or extend the prorated value of a part or product beyond the initial two year limited warranty period from the date of delivery. THE WARRANTY SET FORTH ABOVE IS IN LIEU OF ALL OTHER WARRANTIES, EXPRESS OR IMPLIED, INCLUDING BUT NOT LIMITED TO ANY IMPLIED WARRANTY OF MERCHANTABILITY OR FITNESS FOR A PARTICULAR PURPOSE. IN NO EVENT SHALL SunLite INDUSTRIES BE LIABLE FOR ANY INCIDENTAL OR CONSEQUENTIAL DAMAGES WITH RESPECT TO THE PRODUCTS DELIVERED HEREUNDER OR SUBSEQUENT USE THEREOF. Limitation of Liability: SunLite INDUSTRIES shall not be liable for any loss, damages, or penalty resulting from failure to perform any of its obligations under this Agreement due to force majeure or any cause beyond its reasonable control. SunLite INDUSTRIES' LIABILITY UNDER OR FOR BREACH OF THIS AGREEMENT SHALL NOT EXCEED THE REFUND OF THE PURCHASE PRICE LESS REASONABLE RENTAL FOR PAST USE. IN NO EVENT SHALL SunLite INDUSTRIES BE LIABLE FOR COSTS OF PROCUREMENT OF SUBSTITUTE GOODS BY THE PURCHASER OR FOR UNAUTHORIZED REPAIRS UNDERTAKEN BY THE PURCHASER WITHOUT SunLite INDUSTRIES' PREVIOUS WRITTEN APPROVAL. IN NO EVENT SHALL SunLite INDUSTRIES BE LIABLE FOR ANY SPECIAL, CONSEQUENTIAL, OR INCIDENTAL DAMAGES, HOWEVER CAUSED, WHETHER FOR BREACH OF WARRANTY, NEGLIGENCE, OR OTHERWISE. SunLite INDUSTRIES DISCLAIMS ANY OBLIGATION OR LIABILITY FOR LOSS OF USE OF THE SunLite 16 HOME TANNING BED, LOSS OF TIME, INCONVENIENCE, RENTAL OR SUBSTITUTE PRODUCTS, LOSS OF BUSINESS, LOSS OF INCOME, COMMERCIAL LOSS OR ANY OTHER DIRECT, CONSEQUENTIAL, SPECIAL OR INCIDENTAL DAMAGES. Attorney's Fees: Should a dispute arise with regard to this warranty or any other aspect of this sale the prevailing party shall be entitled to reasonable attorneys fees and costs through appeal.